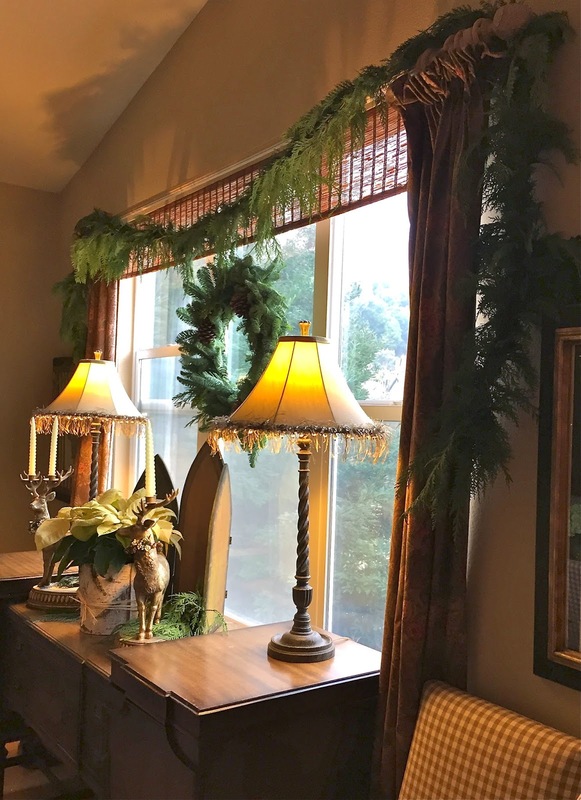 Last week I went to a holiday lady's luncheon and was so inspired by how gorgeously decorated this home was for Christmas. 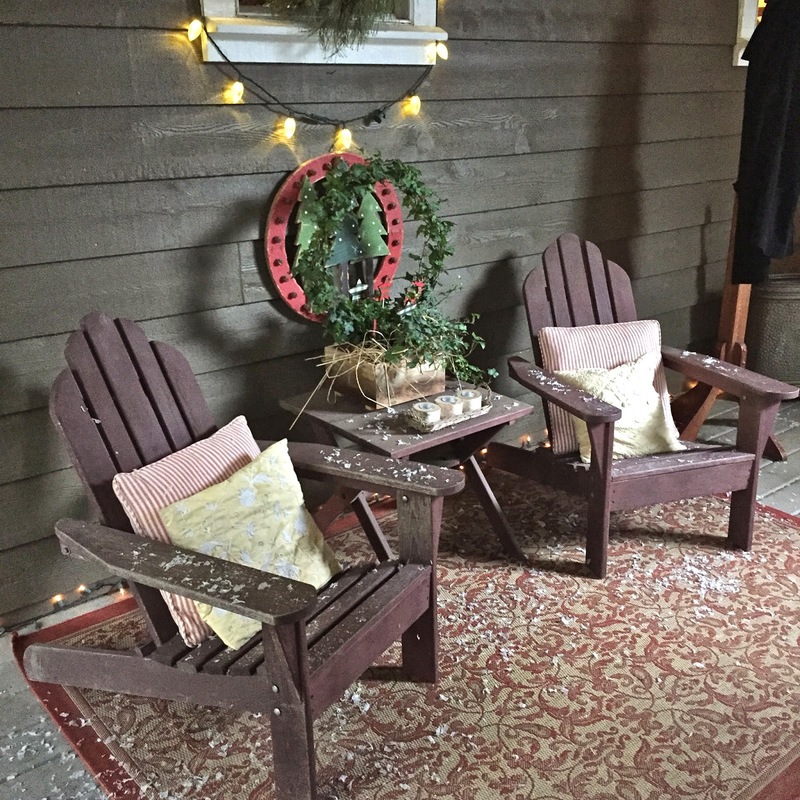 Right away, the porch greeted the guests with a winter chalet mood, complete with "snow." 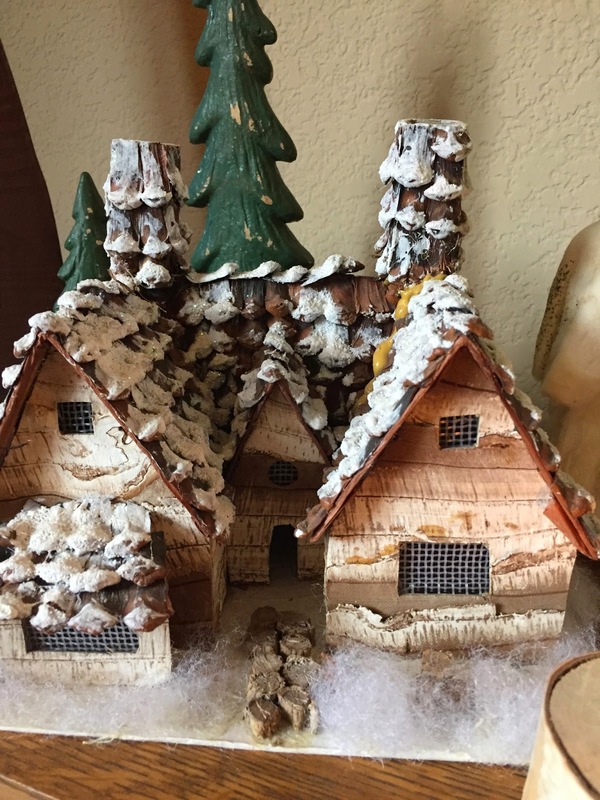 Inside, there wasn't a single surface that didn't have some kind of greenery or Christmas decoration. 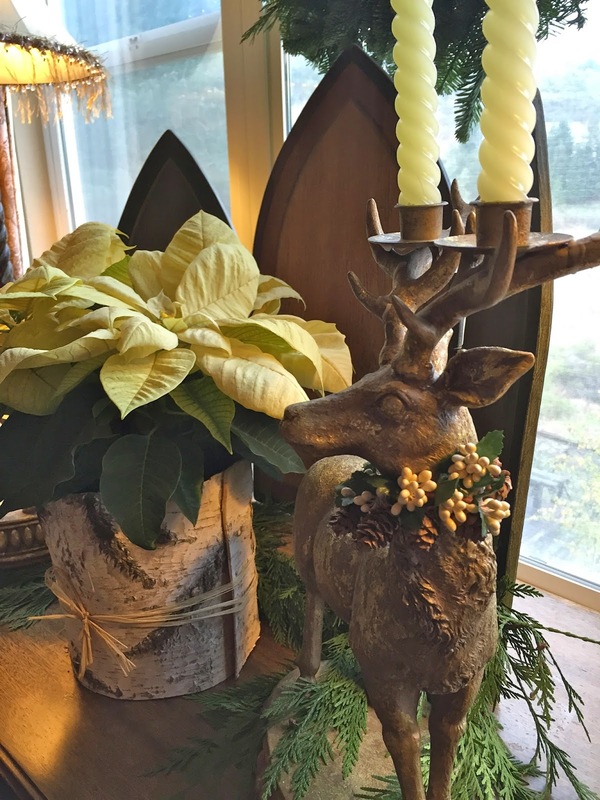 It's also the kind of Christmas decor that I love--natural! Nothing fake here, all the plants and flowers were real. I was able to snap a few shots with my camera before all the guests arrived. I asked the hostess how long it took her to decorate her home. It made me want to go home and lavish my City flat with greenery, flowers and candles. I especially loved her mantel. Aren't those stocking holders so cool with candles glowing behind? 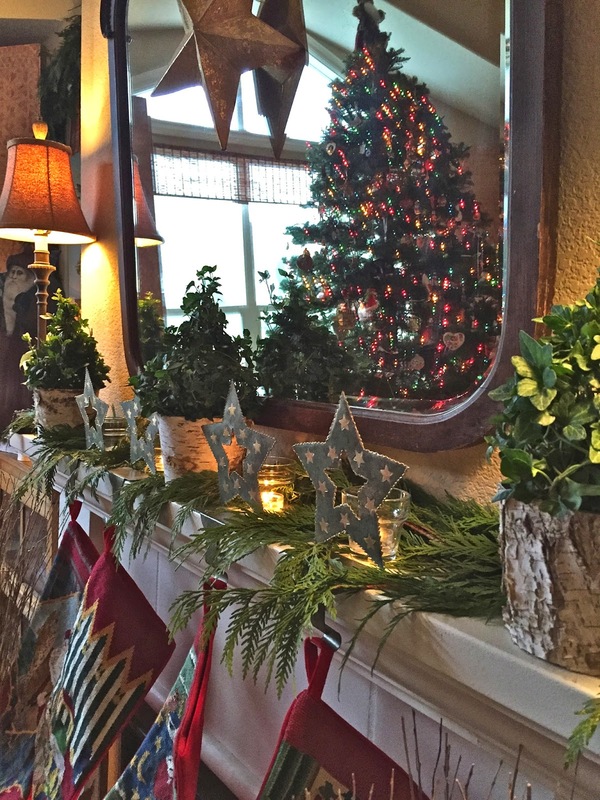 I have to admit, I was so inspired that I did go home and create a holiday mantel. Then I got a little tree to sit atop the piano and even put a little greenery around the ugly chandelier. Very pretty and I like the natural look. More real for me and less faux. Would love to see your mantel and other things you did in the city flat. Do you decorate at Asti? they have beautifully decorated !!! Delores, you could make a prison cell look beautiful! I'm so happy you've been inspired and, anyway, home is where you make it . I'm sure your family will feel happy to be together wherever you are. Hope you share with us soon! Also, this home you have shown is just so pretty. Very warm, cozy and "homey". I love it. Your decorations look so cute! 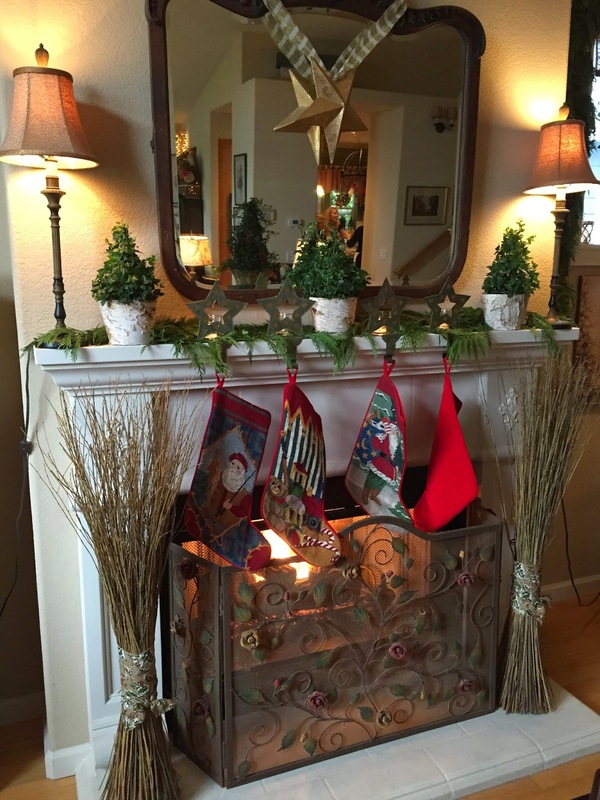 I love the stocking on the fireplace - you're all set for the holidays! 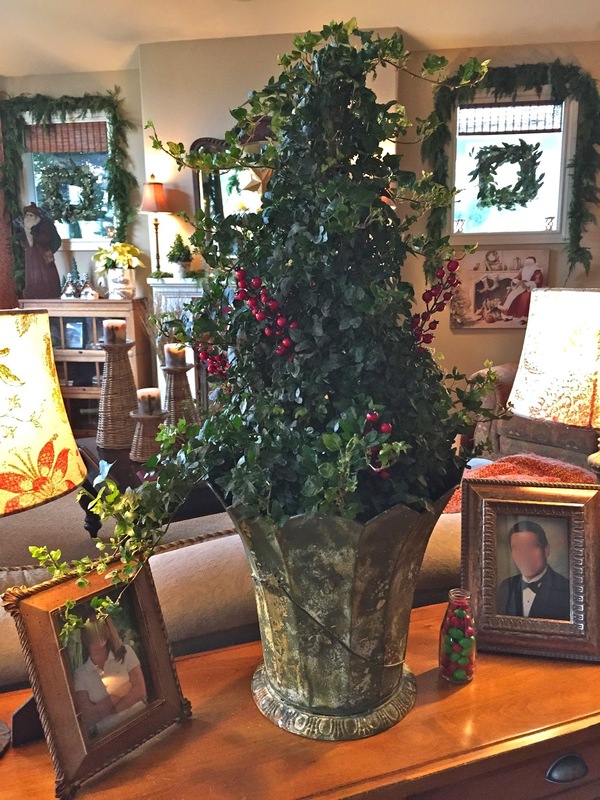 Some fresh greenery and a bunch of poinsettias and you're good to go - everything else is lagniappe! So cozy and warm. I love all the natural elements. Merry Christmas!